I think its time to look through my pantry. Its true, I have a compulsive disorder. Its not diagnosed by any doctor yet but I know if I went to one, they have a special name for people with my kind of disorder. Like compulsive food hoarding disorder, food insecurity disorder, may be something like war times disorder. Well, isn't it true, during wars people stock food? I don't know. Its not like I ever witnessed war. Or may be I did when I was 3 years old, the Gulf war of 1990's. I have heard stories of my mom having to buy grocery in bulk to stay indoors. But those were never the main focus of the crisis. The thing that would have scared me through my childhood, if something did was that my dad was at gun point when one of the soldiers wanted him to open his locker at his gold shop. That my dad's Mercedes was crushed with a bulldozer. Other cars robbed. And a well flourishing business was turned to scrambles. Well to be honest even that was not a huge story in my mind. I remember very remotely (or may be because I'm have heard the story so many times now) the times when our whole extended family consisting of uncles and aunts moved back to India, and even though each one having there own house we chose to live in one big house, with kids of same or similar age. My mom fondly remembers it as a chaotic and fun filled time. Everyday was like a celebration with large array of gorgeous food made by four aunts in one kitchen. Kids had a blast playing and running around the big house, picking a fight every hour. We were more than 12 cousins, me being the eldest girl ( read Laxmi of the house). We all have some kind of marks on our face (read nail scratches) to remind us of the times. We returned to Kuwait within less than a year after the crisis. And never really got a chance to live that way again. That one year was in my mind, happy and special time.And while we are at it, I'm sure many of the people who live far away from Middle East have assumption of Kuwait being a unsafe place.Its a small, quiet and peaceful country. After the crisis, we have never witnessed anything unsafe in the country. There are many other good and bad things about the country like any other but it certainly isn't an unsafe country. So its not the war to do with my disorder. Why do I stock my pantry with things I have no plan to use immediately. Like this lavender. The thought of lavender cookies, or lemon and lavender pound cake had intrigued me. When I considered making the pound cake, at the time I was not willing to use as much butter (you have those times as well do you? When you think not having pound cake will make your old jeans fit?) The cookies I had in mind where not regular flour cookies but something to do with cornmeal and had a certain technique to it which I seem to be too lazy to get to. Finally, I put the idea together in this beautiful recipe. Lemon and lavender are a great combination and adding the lavender to cream makes sure you only have subtle tones of lavender without it tasting like soap. Panacotta is a simple and decadent Italian dessert, which is so easy to whip up and tastes and looks like a million bucks. I also liked the idea of adding yogurt to the panacotta for the tang which goes very well with lemons. Apologies for lack of step by step pictures. I whipped this up in a real hurry! * Gaimar is simply labelled thick cream in English. Its a unique cream made from cow's widely used in Middle east. Its thick, creamy and has a rich taste. Most of the Middle Eastern sweets which are made at home have Gaimar in them in one form or another. I often think of it as being similar to clotted cream and French creme fraiche. The fat content in heavy cream can range anywhere between 30-40% whereas Gaimar has a fat content of upto 60%. We had a similar cream in Turkey, which is called Kaymak, made from fresh buffalo's milk. Fresh Kaymak with honey is an ultimate Turkish breakfast treat. I'm sure that can be used as well. Sprinkle the gelatin over the lemon juice and let it sit. Warm the milk and cream in a saucepan. Let your stove be at the lowest heat. Stir the gelatin and sugar into the milk with the sugar and stir over low heat until dissolved. Remove from heat and stir in the lemon zest and yogurt. Whisk until smooth. Equally divide and pour into ramekins. Refrigerate for 4-5 hours. Run a knife around the edges and invert it onto the serving plate.For the lavender cream, I let cream sit with the lavender for half an hour to infuse flavors and then sieve it through a sieve to have a smooth cream. If you are using heavy cream, lightly whip the cream. Looks beautifully done.I m nt a big fan of lemons in desserts..I mean not a all..dont like the crisp sourness which lemons lend to desserts..However love the use of lavender in your panna cotta...I tried one with dates n apricot 2 weeks back...and learnt that hubs dosent like the texture of gelatinous desserts:( Yogurt looks like a good addition..makes the dessert healthy..
wow Kulsum they look decadent and luscious! Gorgeous click with lavender background brilliant! Amazing recipe! I am in love with anything lavender and I love how you used homemade yogurt in the pannacotta. Thanks! What a lovely delicate dessert. I like the yogurt in the panna cotta...yum! Your panacotta looks light and delicious - lemon is one of my favourite flavours. You've certainly had some not so nice experiences in life. Wow - that is one amazing dessert - such interesting flavours! and you say you don't have energy for baking?! yummyyyyyy, a very beautiful dessert. those wartimes in Kuwait must have been terrifying, but I've heard many good things about it now. I am the granddaughter of American immigrants who escaped war and persecution in Russia. My husband's parents lived through - and lost everything - in both World Wars. I think "hoarding" food is ingrained in us from parents and grandparents who had to hoard, to whom every single little crust of bread was precious. And if it can be turned into something so lovely and elegant, so comforting and beautiful as this, well, then it is okay. I LOVE panna cotta and this recipe may find it's way to my table. Beautiful! God only knows what all ingredients are in my pantry and refrigerator. I have been hoarding ingredients for long time thinking of making some delicious stuffs. Like you I get lazy and eventually forget about the ingredient I bought. I badly need to clean up my pantry before we move to our new home. And that panacotta is luscious. I am loving the lemony and lavender flavors in it. The panna cotta looks delish. Nice snaps too! Oh and I too hoard food. I get too excited when I see something new in the baking aisle and can't help myself. It's time to clean the pantry! it looks so good!! I love lemony stuff! Gorgeous recipe! 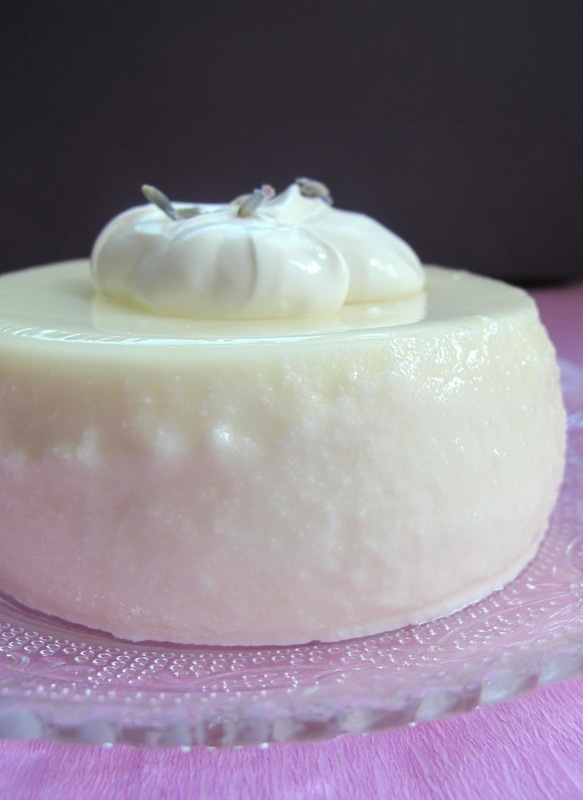 I love Panna Cotta and these Lavendar & lemon flavors are terrific! I have never cooked with lavender, I can only imagine what a decadent experience that would be. 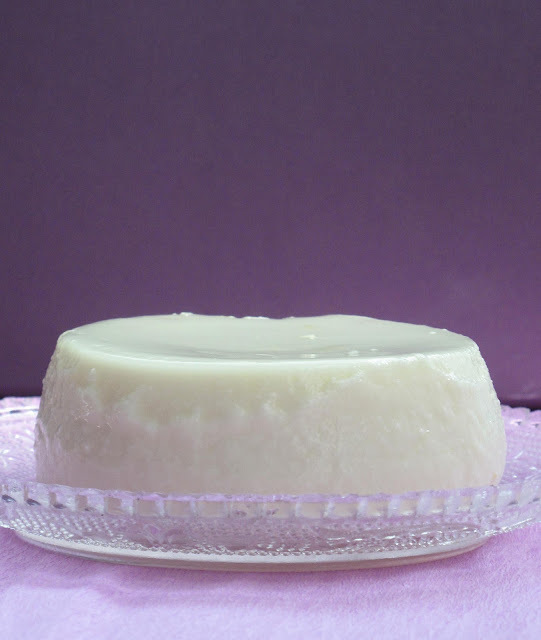 Love how firm the panna cotta looks, it's one of my *eventual* to-do's! Hi, came by your blog quite by accident and couldnt help but reach out to a fellow Gulf war survivor. I was a little older at the time and remember the grocery store rushes as well and some other not-so-forgetful war related incidents, but unlike you I'm definitely scarred even after living there for 8 years post-war. Like you though, I am pantry hoarder too. Take care and good luck!